Over 200,000 Iraqi refugees have applied for asylum in the United States since April 2013. A little less than half have been approved. 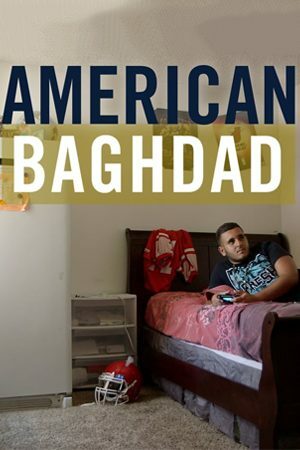 These days about 25% of the residents of El Cajón in San Diego, California are Iraqi. Many of them are descendants of Chaldean Christians who left their homeland because they were persecuted for their beliefs. Leaving their country was difficult for most of the Iraqi refugees. And even though they have nothing to go back to, many find it hard to adapt to life in the United States. Particularly because they miss the life they already had; jobs, friends, activities, and culture. During the interviews these men and women candidly share their stories of struggle and triumph as they accept their new reality. An elderly gentleman named Younnes states that before the fall of Saddam Hussein, Christians in Iraq could come and go as they pleased, but when the United States became involved everything changed. He misses his homeland and believes that he is too old to learn English, although he is only seventy-six. So he spends his days tending to his garden and spending time with his family. Leaving everything behind in search of peace and a better future is not easy. Many refugees face rejection and run the risk of being misunderstood or misjudged. But when your country lies in shambles and there is a constant threat of being murdered, you get up and do what you’ve got to do, even if it means uprooting yourself and travelling half-way across the world. Watch this thought-provoking film now. This documentary investigates claims that as much as $23bn (£11.75bn) may have been lost, stolen or not properly accounted for in Iraq.